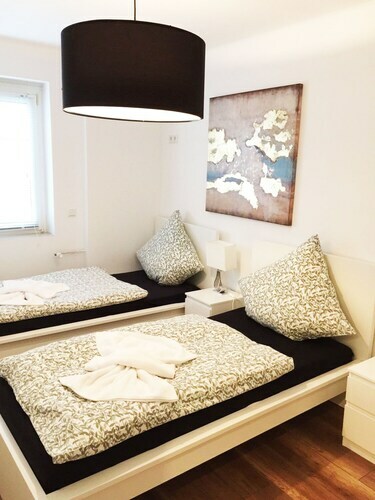 Located in Mitte, this apartment building is within 1 mi (2 km) of Altes Magazin Hannover and Hannover Congress Centrum. HDI Arena and Hannover Zoo are also within 2 mi (3 km). Marienstrasse U-Bahn and Braunschweiger Platz U-Bahn are within a 5-minute walk. 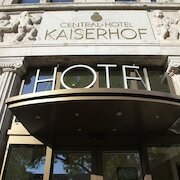 Located in Mitte, this hotel is within 1 mi (2 km) of Eilenriede and Hannover Congress Centrum. HDI Arena and Hannover Zoo are also within 3 mi (5 km). Hannover-Kleefeld S-Bahn is 8 minutes by foot and Braunschweiger Platz U-Bahn is 19 minutes. Located in Lahe, this hotel is 1.8 mi (2.9 km) from Altwarmbuechener Lake and within 6 mi (10 km) of Eilenriede and Silbersee. 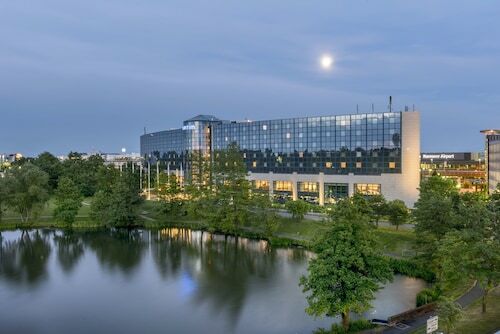 Hannover Medical School and Langenhagen City Shopping Centre are also within 6 mi (10 km). 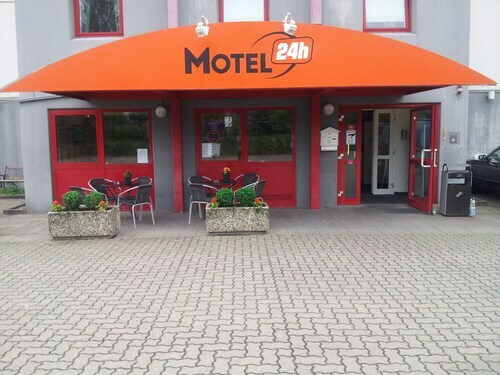 Located in Region Hannover District, this hotel is within 1 mi (2 km) of Brinker Park and Langenhagen City Shopping Centre. Silbersee and Pferderennbahn Neue Bult are also within 3 mi (5 km). 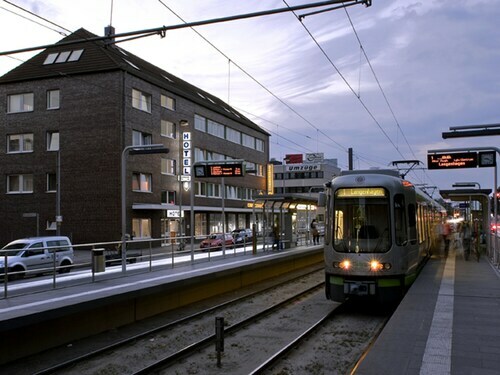 Langenhagen Mitte Station is 15 minutes by foot and Langenhagen Pferdemarkt S-Bahn is 29 minutes. 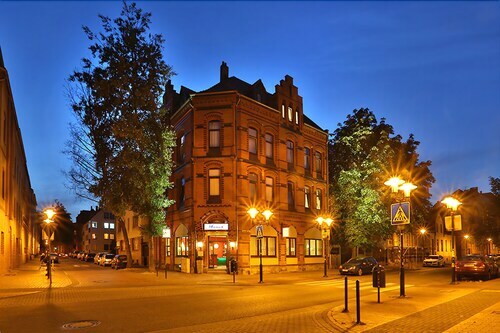 Situated in Hildesheim, this boutique hotel is within a 15-minute walk of Hildesheim Town Hall, Butchers Guild Hall, and Rolandhaus. Historic Market Place and St. Andreas Church are also within 1 mi (2 km). Hildesheim Central Station is 6 minutes by foot and Hildesheim Ost Station is 29 minutes. As the plane glides down past the clouds above Hannover, you'll be greeted by stunning views of the Lower Saxony landscape around Hannover Airport (HAJ). 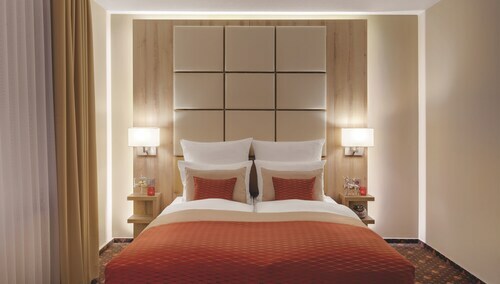 Staying close to the terminal has the major advantage of being able to walk from arrivals to your room. 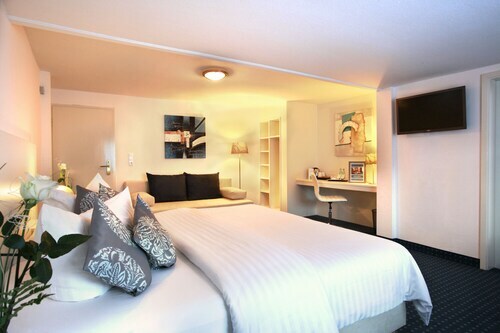 Make a booking at the Maritim Airport Hotel, the only place to stay that you'll find this close. Sometimes you need to stay near the airport but want to discover more cafes, restaurants and other amenities than the terminal has to offer. 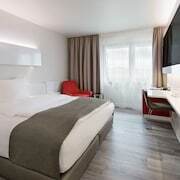 You'll more than likely find something you'll love out of the 7 hotels in Godshorn, with the Leonardo Hotel Hannover Airport and the Hotel Wegner considered to be the top candidates. Planning to check out the downtown area? Grab a ticket for the train at Hannover Flughafen and you'll be there in no time. 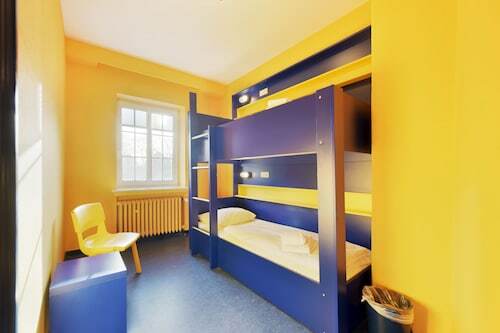 It is located just 0.2 miles (0.3 kilometers) away from Hannover Airport. Whether you've heard of New Town Hall before or not, it's well worth a visit. You can find it just 7 miles (11 kilometers) from the airport, so be sure you take the time to see it. You'll have more time to enjoy your vacation if you do all the hard work first! Line up your Hannover Airport accommodation right away and make all your Hannover wishes come true. The Holiday Inn at the Hannover airport is a real trip into the past. Nothing appears to have been changed or updated since it was built, which must have been in the early 70's give or take. Even the alarm clocks are huge, ancient transistor models built directly into the night stands. Carpet and drapes also appear to date back to the early days if not the beginning of the hotel's operation. Although I had requested a non-smoking room, the management saw fit to accommodate me in a smoking room, which was rich with the smell of smoke and memories of a time when there were not smoke free rooms available. Even the parking area, a muddy gravel lot behind the hotel reminded me of a time when asphalt and concrete were in short supply and not wasted on trivial projects such as parking spots. Staying in this hotel made an impression on me which will last a long time. 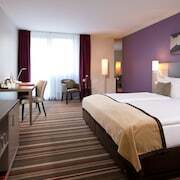 Therefore, I will probably try the Maritim hotel down the street, which has comparable rates and is 500 m closer to the terminal, next time I visit the Hannover airport.